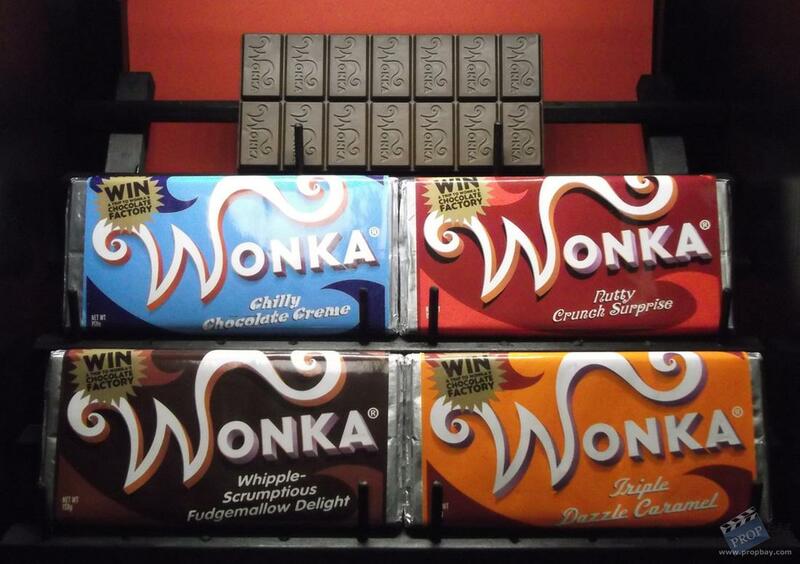 These Wonka bars were custom-made by the production for use by various actors and as set dressing. They are not real chocolate bars, but plastic inside. 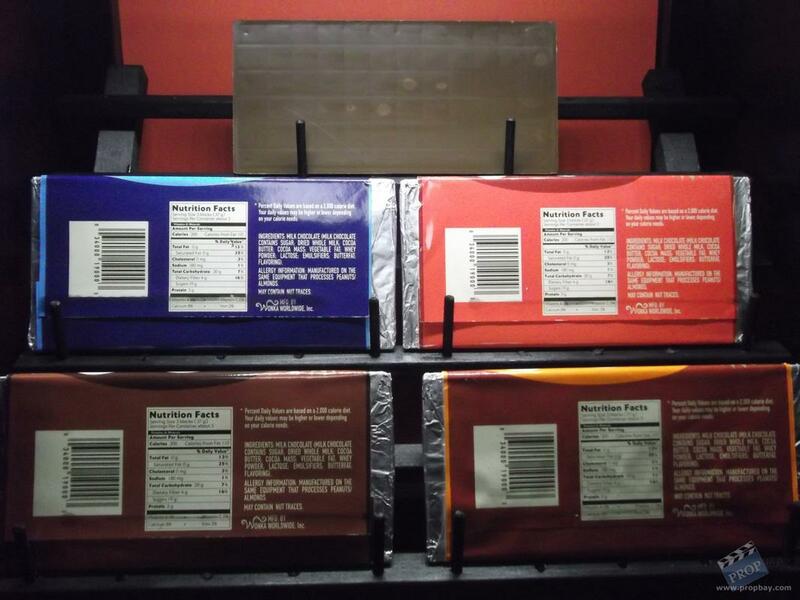 The candy bars consist of the full set of flavors: Triple Dazzle Caramel, Whipple-Scrumptious Fudgemallow Delight, Chilly Chocolate Creme, and a Nutty Crunch Surprise. 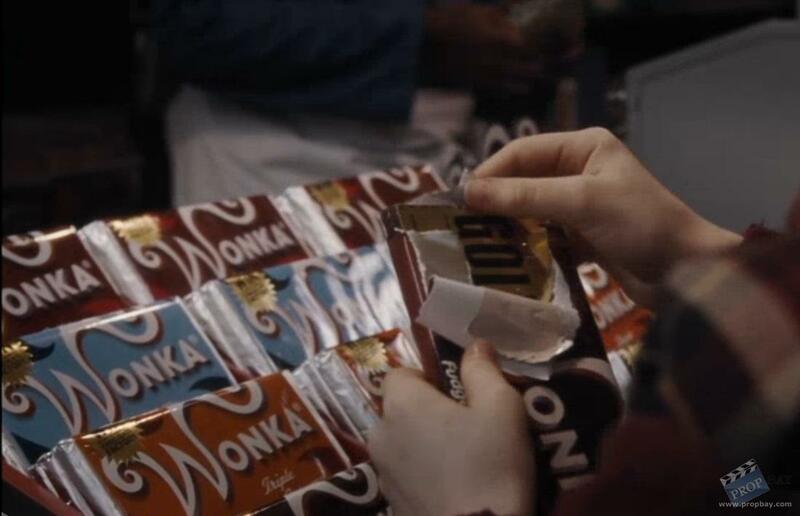 Also included is an unwrapped bar. Each bar measures approximately 7" x 3.25". 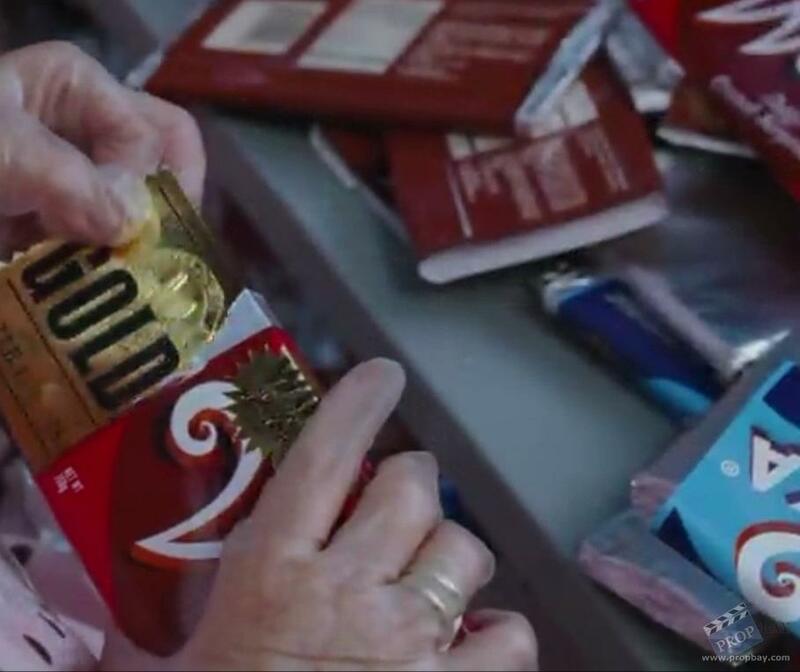 These are not hero bars as they do not have the gold foil on the front. Added: 03-20-2014 - Viewed: 3289 times.